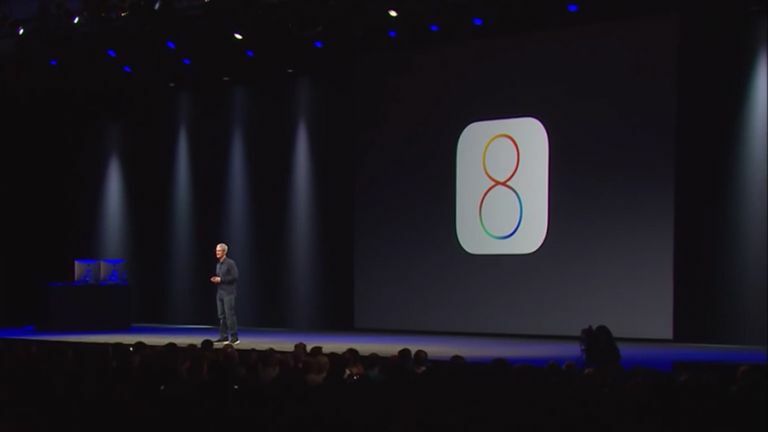 iOS 9 might be appearing over the horizon but there's plenty of life in Apple's current mobile operating system yet, and it's stacked high with features for making your iPhone or iPad as useful as possible. Not everyone has the time to explore all the nooks and crannies of the software loaded onto our phones and tablets, so we've done the hard work for you - here are 10 great features you may not have spotted yet in iOS 8.0+. Theoretically, anyone who has your Apple ID email address can ping you over iMessage, so you may get contacted by someone you've never heard of. There's a setting that makes it easier to spot these unknown senders. From the Settings app, open up the Messages screen and select Filter Unknown Senders. If you go back into Messages you'll notice that there's a new Unknown Senders column for filtering out random strangers. With iOS 8.3, Apple turned on Wi-Fi calling: that means if you don't have great phone reception and there's an available Wi-Fi network nearby, your iPhone can automatically switch to the web to continue your call. You need to be on a supported mobile network - at the time of writing that means EE in the UK or Sprint and T-Mobile in the US - and to activate the feature head to the Phone panel in Settings and tap on Wi-Fi Calls. Exactly why is your iPhone running out of juice before the end of every day? The latest versions of iOS let you check up on which apps are using up most battery power so you can take appropriate action. Delve into the General page in Settings and then select Usage. If you tap on Battery Usage you can see which apps are to blame for your device's diminishing battery life. Sharing between apps has become much easier in iOS lately, and you can make sure your favourite apps always appear first when you find something you want to show the wider world. Tap the Share button in any app (an arrow pointing up through a rectangle), then choose More (far right). The subsequent screen lets you choose which apps appear and in what order. iOS hasn't quite reached Android levels of customisation yet, but third-party apps are gradually getting more wriggle-room - you can now install alternative keyboard apps on your device, for example. Once you've got one or more alternatives installed (such as SwiftKey or Fleksy), go to Settings and choose General, Keyboard and Keyboards to pick a default. You can also tap the globe icon to change keyboards on the fly. Accidentally deleted that great shot of you and the family on the beach? Don't worry, because you can get it back - iOS now keeps a cache of recently trashed images just in case you change your mind. Head to the Albums page in the Photos app and you'll find a Recently Deleted folder - go into it, select a picture then choose Recover to bring it back. Images are kept for 30 days before being permanently erased. if you're not already using the timelapse video on your iPhone's camera then you're missing out - you can create some really impressive results without a professional camera setup. The timelapse setting is all the way over on the left-hand side of the options in the Camera app (past Slo-Mo, introduced with iOS 7). Once you tap Record, a new frame is captured every second. While we're on the topic of the Camera app, here's another trick introduced with iOS 8: the option to set separate exposure and focus points to take more control over your mobile snaps. When taking a photo with the native Camera app, tap once to set the focus, and you can then slide your finger up or down any other part of the screen to change the exposure level (resulting in a lighter or darker picture). Apple is piping new features into Siri all the time, and one of the most recent is a Shazam-style functionality that can magically recognise what music you're listening to. Hold down the Home button to activate Siri, ask "what song is playing?" and then make sure your iPhone or iPad is in listening range - the answer should pop up on screen. Also new to iOS 8.3 is the ability to disable the password prompt if you're downloading free apps. Head to Settings, tap iTunes & App Store, then select Password Settings (you won't see it if you use Touch ID). It's not a great idea to do this if your kids use your phone or tablet on a regular basis, but if it's just you and you find the constant password prompt an annoyance, you can save yourself some seconds when installing apps.